the home depot x e-commerce. 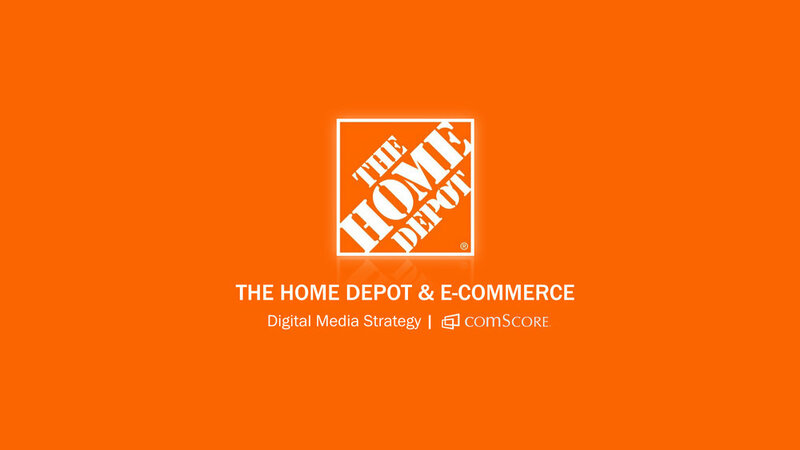 With a digital media strategy targeted to high-income 24-35 year-old women, The Home Depot can grow its e-commerce category share. 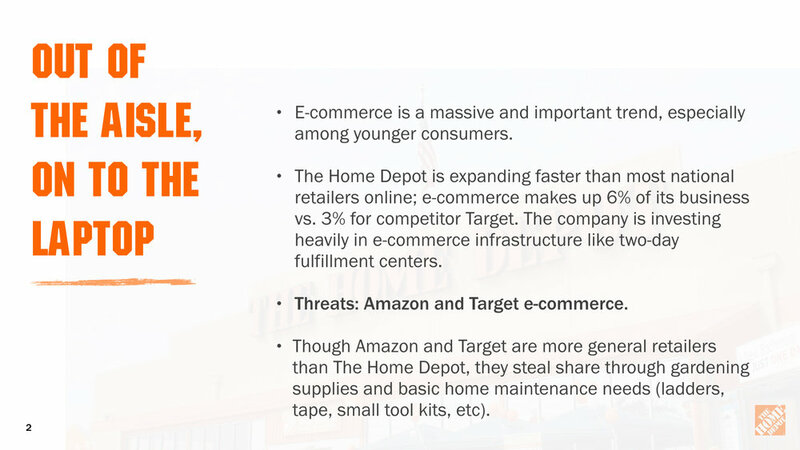 The Home Depot is investing heavily in e-commerce, but giants like Amazon and Target are stealing share. 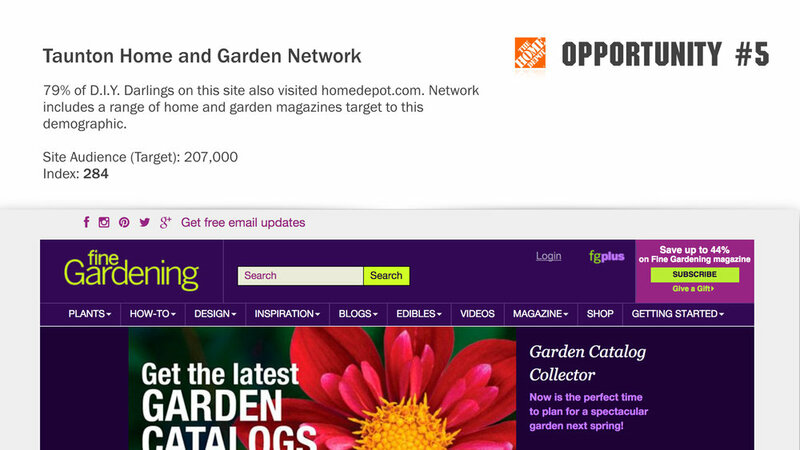 By targeting affluent young women on sites they already visit, the Home Depot can boost site traffic and bolster its position in a changing retail landscape. 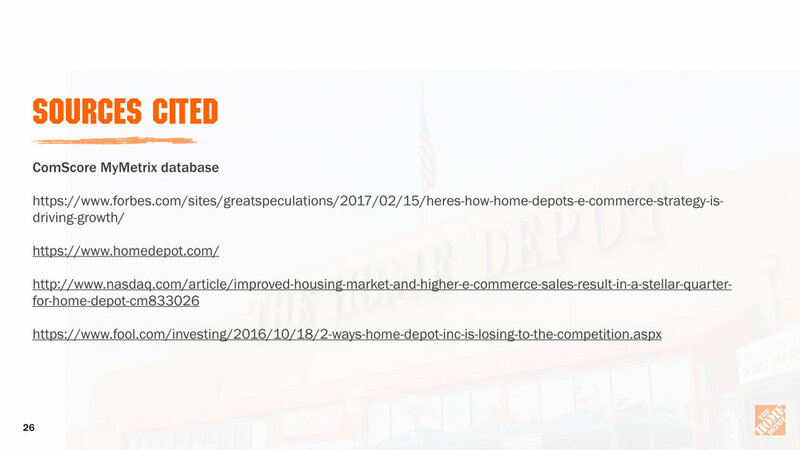 Using comScore Digital MyMetrix data, I identified this demographic opportunity and made platform recommendations for Home Depot to place a digital campaign.